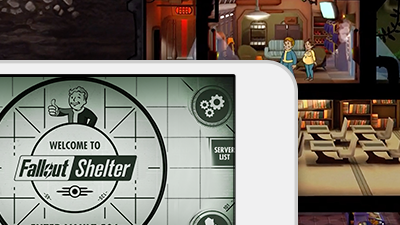 Here's a list of tips that is available from the Fallout Shelter's in-game loading screens. The most interesting tips below are those under Wasteland, it looks like a dweller's SPECIAL stats greatly affects the performance of your explorations, so sending a high Lvl dweller with great stats, armor and weapon, will be very productive. - Tap a Dweller’s SPECIAL chart for more details. - You can rename a Dweller by tapping their name on the Dweller information pop-up. - You can sort the Dweller list by tapping on the column names. - Rooms run on Power. Dwellers run on Food and Water. - Assign Dwellers to production rooms to obtain resources. - If a room is full of Dwellers, the Dweller with the lowest stat for that room will swap places with the new Dweller. - Dwellers with high Strength perform better on Power rooms. - Dwellers with high Perception perform better in Water rooms. - Dwellers with high Agility perform better in Food rooms. - You can assign Dwellers to the Vault entrance to act as guards. - When a Dweller is assigned to the Radio room it will increase all Vault Dwellers happiness. - Upgrading a room will make it more efficient and give you more storage. - There are higher tier versions of the production rooms that are more efficient, but more expensive. - Rooms farthest from a power source will shut down first. - Build Storage Rooms to increase your Vault’s Weapon and Outfit holding capacity. - Build Medbays and Science Labs to increase your limit of Stimpaks and RadAways. - Build a Medbay to produce Stimpaks. - Build a Science Lab to produce RadAways. - The Weight Room will allow you to train a Dweller’s Strength. - The Armory room will allow you to train a Dweller’s Perception. - The Fitness Room will allow you to train a Dweller’s Endurance. - The Lounge will allow you to train a Dweller’s Charisma. - The Classroom will allow you to train a Dweller’s Intelligence. - The Athletics Room will allow you to train a Dweller’s Agility. 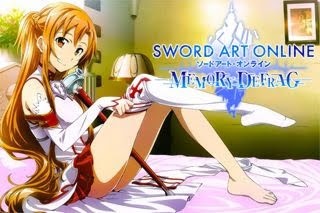 - The Game Room will allow you to train a Dweller’s Luck. - Radio rooms attract new Dwellers and improve the happiness in your Vault. - If you are out of building space on a floor, build an Elevator to access lower parts of your Vault. - Tap on the resource bars at the top of the screen for more details on your resource storage. - Successfully Rushing will give you the room’s regular rewards plus a special bonus! - To quickly check on your Dwellers exploring, just tap directly on the Wasteland. - The longer a Dweller survives in the Wasteland, the better gear they will find. - Higher level Dwellers with high SPECIAL have a better chance of surviving in the Wasteland. - Your Dweller does not suffer damage or radiation when returning from the Wasteland. - Each SPECIAL stat increases a Dweller’s effectiveness in the Wasteland in its own way. - Raiders can strike any time, be sure to have Dwellers ready and on guard! - During a Raider attack, flashing resource bars means they are stealing your resources! - Upgrading your Vault entrance will make it harder for Raiders to break in. - You can skip 1 Objective each day by tapping the X on the Objective screen. - You can get free Lunchboxes for completing some Objectives. - Need extra CAPS? You can sell weapons and outfits from your Vault storage. - Confused how something works? Check the VDSG in the Pip-Boy for help. - A nuclear winter is cold, keep warm with Vault-Tec! - Vault-Tec. We’ll be there! Vault-Tec.